Welcome to the EnMart Clearance Bin! Here you will find a miscellaneous assortment of various items, so you'll probably need to rummage about a bit. 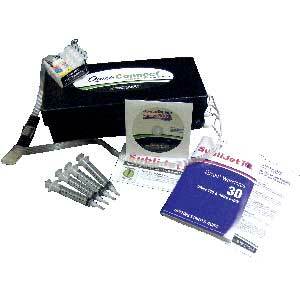 Maybe it is a demo heat press from a trade show, miscellaneous thread that we've had for too long, display items, expired or soon-to-be expired sublimation SubliJet, Chromablast, or direct to garment Brother GT-541 inks, or just some extra stuff that we aren't sure why we have it. At any rate, our problem is your good deal. Items in the Clearance Bin are sold as is. Carefully read individual item descriptions. 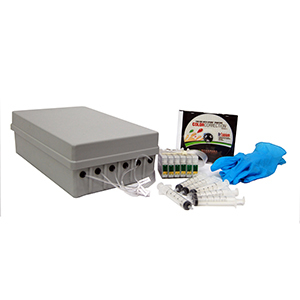 We will only accept returns if we make a mistake - in which case we'll gladly accept it back and refund your money. Shipping is not refundable. 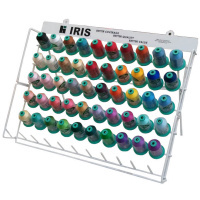 We have now added ALL of our Iris RAYON machine embroidery thread to the Clearance Bin. Hilos Iris has discontinued manufacturing the SmoothNSilky Rayon machine embroidery thread, and now you can purchase 5500 yard KING cones at a once-in-a-lifetime $4.50 per cone - plus the MINI 1100 yard cones are reduced to $1.60 each. Quantities are limited; first-come, first-served. When they are gone, they are gone forever. Instead of re-listing over 400 Rayon thread items on this one Clearance Bin page, we have posted the links to the categories instead - the king prices have been updated to reflect the new $4.50 per cone price, and the mini cones now show the discounted price of $1.60 per cone.